I am a Dallas native and have lived in North Texas all my life. Although my degree is in business, my real interest has always been in literature, music and the fine arts. Medieval English history and Shakespeare are particular favorites of mine and, along with my Christian faith, have most influenced my medieval trilogy: In Honor Bound, By Love Redeemed, and To Grace Surrendered. I'm also a huge fan of cozy mysteries, especially those written by Agatha Christie, Dorothy L. Sayers and Margery Allingham. That has, of course, influenced my English cozy series, The Drew Farthering Mysteries, as well as my contemporary mysteries for Annie's Attic. You can find more about all of them below. I also love cross stitch, quilting, Dallas Stars hockey, and my cats: Elizabeth, Petie and Eddie. I never dreamed that I would someday be a writer. I was always an avid reader, even when I was a very little girl, but it wasn’t until I was in college (and extremely bored in a Business Law class) that I decided to try writing. It was just one scene, just something to amuse myself with when I was bored, but, over time, I wrote more scenes, usually with the same characters. Finally I decided that there had to be something interesting going on between these random scenes. I asked myself, “What could have happened here at Point B that would logically move my characters from the already-written Point A to the already-written Point C?” And then I would go about writing the missing Point B. Once I started that, I realized I couldn’t stop. I just had to write! When I decided to make these scenes into a book, of course I had to make some modifications to some scenes I already had, eliminate others and write still more. It was a nightmare of a way to write. (I actually had nightmares about frantically trying to solve puzzles!) It was also an incredibly valuable learning experience for me, one that was not wasted when I wrote my later books. The most amazing thing I learned from the experience, though, was that our talents are truly gifts from God. Many, many times I would write a scene just to link two other scenes together or add a little excitement, and it wouldn’t be until much later in the story that I would realize why that scene was there, that it was crucial to the theme of the story. Often my characters would do and say things that really surprised me, as if they truly had minds of their own. Over and over again I was reminded that the ability to write, to tell stories that speak to real people, is something that did not come from me. God is the greatest and most liberal Giver of gifts, and I believe it pleases Him very much when we use those gifts to the best of our ability. Rules of Murder, a Drew Farthering Mystery is a romantic murder mystery set in the 1930s. It's a mixture of Tommy and Tuppence and Nick and Nora in a fast and fun thriller set in the English countryside. Now available from Bethany House in paperback, large print, e-book and audiobook. Simon Vance reads the audiobook, and he's fabulous! Following Rules of Murder (2013) are Death by the Book (2104), Murder at the Mikado (2014) and Dressed for Death (2016), Murder on the Moor (2017) and Death at Thorburn Hall (2017). For Annie's Attic, a needlework-related series of contemporary mysteries from Annie's Mysteries, Book Four, Letters in the Attic, debuted in September of 2010. June of 2012 brought Book Sixteen, The Key in the Attic. The Diary in the Attic, Book Twenty-Five, came out in March of 2013, and The Legacy in the Attic, Book Twenty-Nine, was released in June of 2013. If you're a mystery lover, a crafter or some combination of the two, check these out. Also from Annie's are Decadent Deceit, a Secrets of the Quilt Mystery (2015), A Ring of Deception, An Antique Shop Mystery (2016) and two Castleton Manor Library novels: An Autographed Mystery (2017) and Pride and Publishing (2017). In addition, I am now writing for Guideposts. My first book with them, Thicker Than Water (2018), is part of their Mysteries of Martha's Vineyeard series. I have completed a novel set during and after the American Civil War. A Dinner of Herbs (from Proverbs 15:17) is a story about realizing that, when we let go of what we think we must have, we often find what we really want. When I have release information on this book, I will post it here! 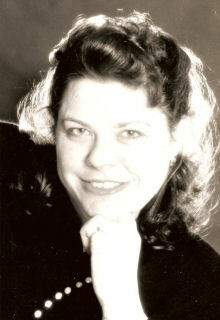 DeAnna is represented by Wendy Lawton of the Books & Such Literary Agency.